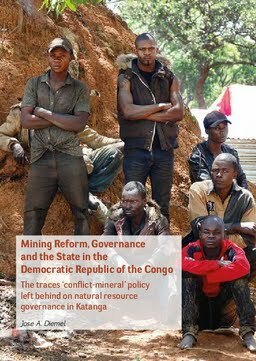 Since the early 2010s, a wide range of conflict-mineral policy reforms have been implemented in the Democratic Republic of the Congo, aiming to prevent the trade in coltan and cassiterite from financially contributing to armed conflict. The objective of this dissertation is to provide insight into the processes through which conflict-mineral policy has become negotiated into Congolese realities and the traces those reforms have left on Congolese natural resource governance orders. The dissertation approaches policy as a socially constructed process, drawing specific attention to the negotiation that occurs when policy enters a new reality. Taking a multi-sited political ethnographic approach, this research followed conflict-mineral policy along the mineral supply chain to study the every-day governance practices, narratives of and interactions between state officials, mining communities and mineral buyers at a range of research sites stretching from; the coltan and cassiterite mines of Bukama Territory, to the mineral trading hub of Luena, to the mineral export depots and administrative offices of Lubumbashi and Kalemie. In studying these negotiations and their outcomes, this research aims to understand what these processes tell us about the interests and repertoires of the state and non-state actors involved.